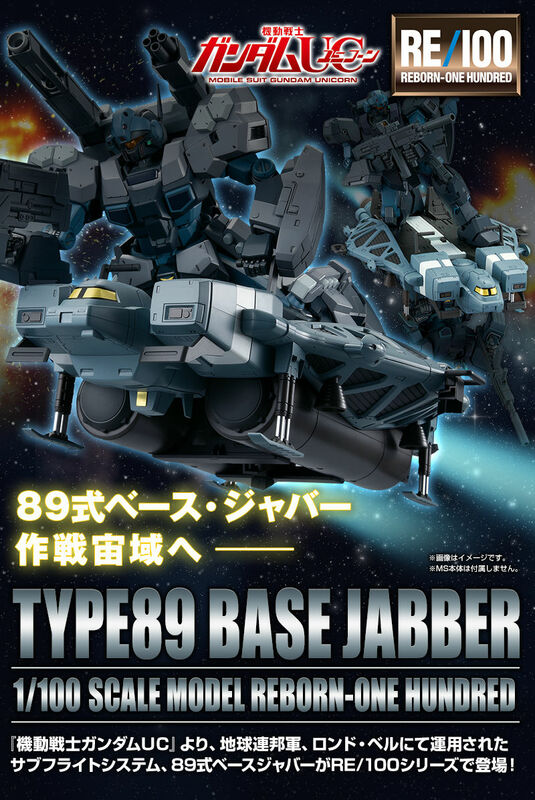 Sub-flight system, 89 type base jabber appeared in the RE / 100 series! 1/100 scale MS (optional) can be installed! ※ Some MS (sold separately) may not be installed depending on the shape. ● Reproduce characteristic airframe color with molding color! 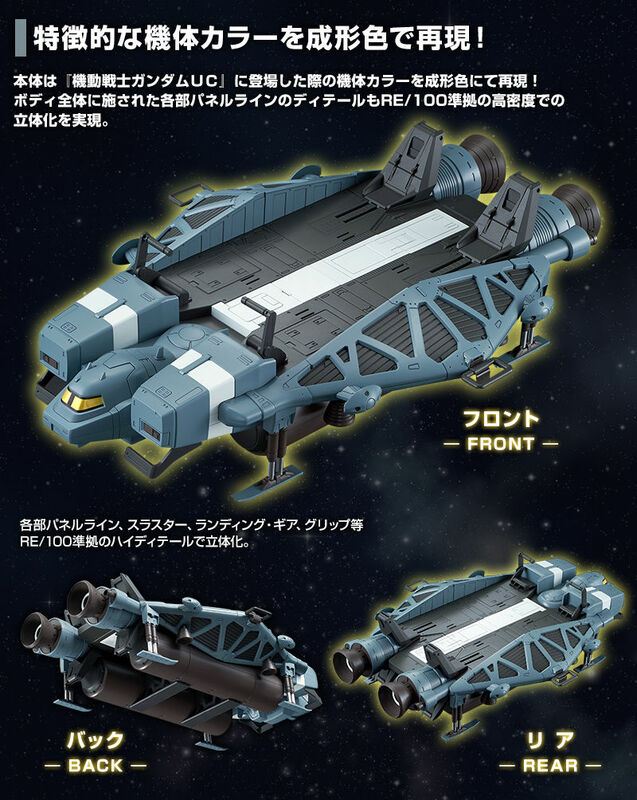 Reproduced in the molding color of the aircraft color when it appeared in "Mobile Suit Gundam UC". Thruster, landing gear, grip, etc. are three-dimensionalized with high density detail, including each panel line applied to the entire aircraft body. ● Mobilesuit boarding scenes can be reproduced! Stable display is possible by dedicated connection parts and footrest deployment mechanism. Fix the mobile suit with dedicated joint parts. The footrest develops according to the sole of the mobile suit. 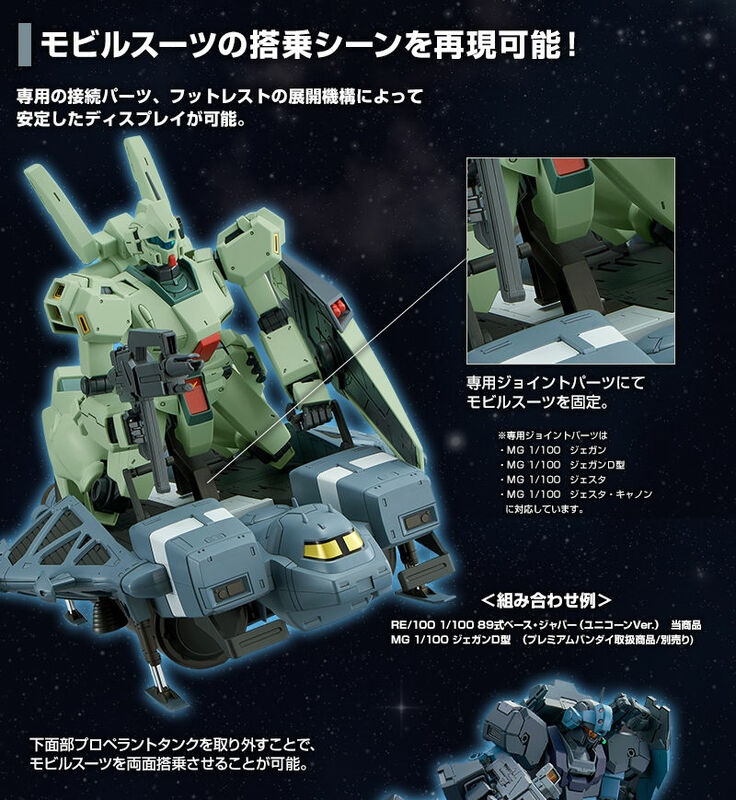 In addition, it is possible to adjust the slide forward and backward, and you can hold the mobile suit firmly. 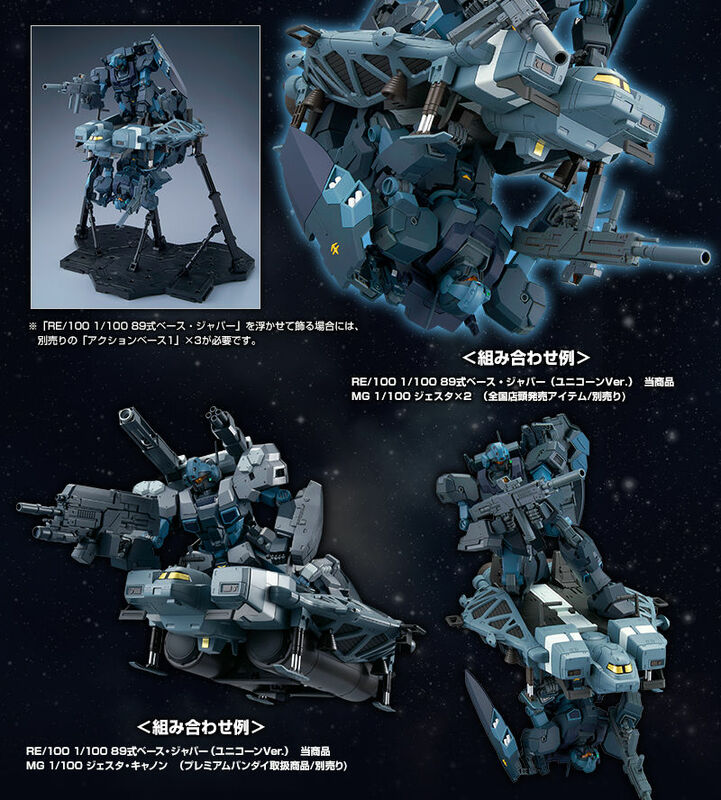 Furthermore, by removing the lower part propellant tank, it is possible to ride on both sides of the mobile suit. "Action base 1" × 3 (sold separately) is required.